10th Annual Family Arts Festival Celebration Event! Americana Music is an amalgam of roots music formed by shared and varied traditions. During Switchback’s Americana concert, songs about dryland farming, twisters and the flooding along the Mississippi are interspersed with tunes about lonely truckers, working families, soldiers and even a late night romance in the hay barn. And in true Midwestern fashion, even some of the more serious topics are presented with a wry sense of humor. 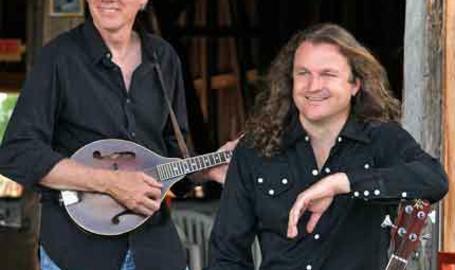 The duo will play mandolin, acoustic guitar and bass and are known for an almost brother-like blending of voices.